Agde ([aɡdə]; Occitan: Agde [ˈadde, ˈate]) is a commune in the Hérault department in southern France. It is the Mediterranean port of the Canal du Midi. 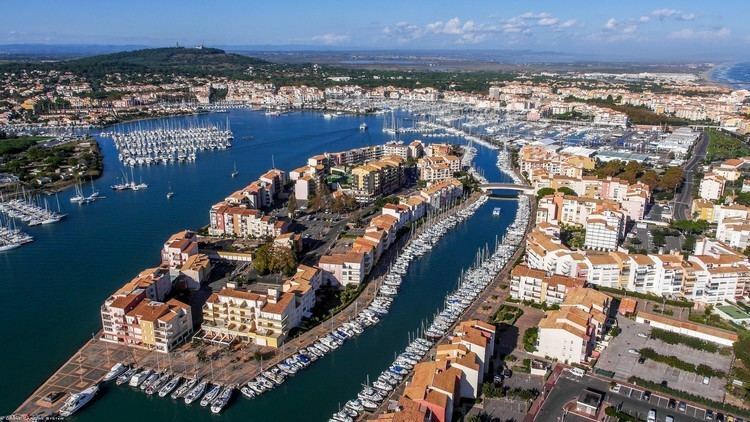 Agde is located on the River Hérault, 4 kilometres (2 miles) from the Mediterranean Sea, and 750 kilometres (466 miles) from Paris. 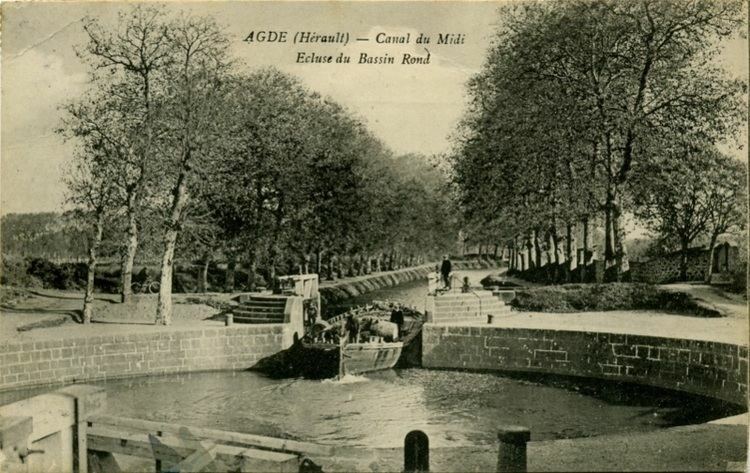 The Canal du Midi connects to the Hérault at the Agde Round Lock ("L'Écluse Ronde d'Agde") just above Agde and the Hérault flows into the Mediterranean at Le Grau d'Agde. Agde (525 B.C.) is one of the oldest towns in France, right behind Béziers (575 B.C.) and Marseilles (600 B.C.). Agde (Agathe Tyche, "good fortune") was a 5th-century B.C. Greek colony settled by Phocaeans from Massilia. The symbol of the city, the bronze Ephebe of Agde, of the 4th century BCE, recovered from the fluvial sands of the Hérault, was joined in December 2001 by two Early Imperial Roman bronzes, of a child and of Eros, which had doubtless been on their way to a villa in Gallia Narbonensis when they were lost in a shipwreck. In the history of Roman Catholicism in France, the Council of Agde was held 10 September 506 at Agde, under the presidency of Caesarius of Arles. It was attended by thirty-five bishops, and its forty-seven genuine canons dealt "with ecclesiastical discipline". One of its canons (the seventh), forbidding ecclesiastics to sell or alienate the property of the church from which they derived their living, seems to be the earliest mention of the later system of benefices. Agde's inhabitants are called Agathois. Agde is known for the distinctive black basalt used in local buildings such as the cathedral of Saint Stephen, built in the 12th century to replace a 9th-century Carolingian edifice built on the foundations of a fifth-century Roman church. Bishop Guillaume fortified the cathedral's precincts and provided it with a 35-metre donjon (keep). The Romanesque cloister of the cathedral was demolished in 1857. It is assumed that a Jewish community was established in the town around the sixth century AD. During the council of Agde, assembled by the Catholic church in 506 AD, Christian laymen and ecclesiastics were prohibited from eating with Jews or hosting them. This prohibition suggests that the town Jews held good relations with their town neighbours. It is also assumed that the Jewish community was never large, since it did not own a cemetery and buried their dead in Béziers, three miles away. The Jewish name of the city was Agdi, or Akdi (אגדי). During World War II, about two thousand Jews from Germany and Austria were sent to a labour camp near the town; most were deported on 24 August 1942. Agde has a football club RCO Agde who play at the Stade Louis Sanguin. They currently play in the Championnat de France amateur 2. Agde also has a rugby club, Rugby Olympique Agathois (ROA), who play in the French Federale 1 competition.